A. J. Banner grew up reading Agatha Christie, Daphne du Maurier, and other masters of love and mystery. She enjoyed sneaking thrillers from her parents' library, which gave her excellent fodder for her first novel of psychological suspense, The Good Neighbor. 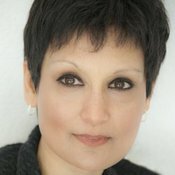 Born in India and raised in North America, she always dreamed of writing gripping stories in which nothing is what it seems. She's hard at work on her next novel in her home office overlooking a Pacific Northwest forest.